ATLANTA, GA – 3DCart, a comprehensive shopping cart software provider and IDology, a leading identity verification provider, today announced a partnership to better serve the ecommerce industry. Now merchant clients of 3DCart can combat fraud and identity theft by integrating any of IDology’s identity and age verification solutions into their online shopping cart suite. IDology’s solutions allow businesses to electronically proof the identity and age of people in customer-not-present situations. 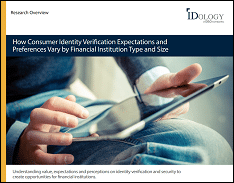 The company offers different levels of identity verification including dynamic knowledge based authentication which relies on out-of-wallet challenge questions to determine someone is who they say they are. By incorporating IDology’s real-time identity verification solutions into their shopping cart platform, 3DCart customers will have the ability to automatically verify consumer identities at the point of transaction based on the business rules they have put in place within IDology’s system. “Our solutions are great for any size merchant that wants to have a higher assurance that their consumers are legitimate including being able to verify someone is who they say they are with our out-of-wallet question solution,” said John Dancu, CEO of IDology. 3D Cart is a complete ecommerce software solution for merchants to build, promote and grow their online business. The company’s services include the tools, advice, support and technology to manage an entire online operation. Since 1997, 3DCart has been developing internet solutions for small to medium size businesses. Today, 3DCart is an Inc. 5000 company, a Visa PCI Certified provider and pioneer in Mobile Commerce and Social Marketing.